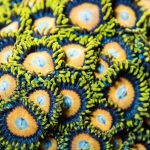 In shallow water coral reef ecosystems, the closely related genera Zoanthus and Palythoa (AKA “zoas” & “palys”) are easily the two most abundant and familiar representatives from the order Zoantharia, but a number of lesser-known groups also exist. For example, there are several genera (e.g. Parazoanthus, Bergia, Umimayanthus) that are only found living in association with sponges, and there’s another, Antipathozoanthus, that favors black corals. In 2010, an entirely new family—Hydrozoanthidae—was established for species found growing on hydroids, and alongside these hydroid specialists is another coral that will be well-known to aquarists… After zoas and palys, the most frequently seen zoantharian within the aquarium trade are the large, yellow-hued polyps known appropriately enough as Yellow Polyps. 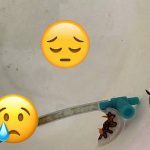 Traditionally, these were identified within the aquarium literature as belonging to Parazoanthus; however, this identification was in all likelihood due solely to the gross similarity in their appearances. Both corals feature large, yellow polyps, but Parazoanthus are, as mentioned, mostly associated with sponges, while Yellow Polyps are entirely free-living, growing directly on rocks (often alongside Zoanthus and Palythoa species). Yellow polyps (Parazoanthus grazilis) in my 100L reef aquarium. Genetic study from aquarium specimens has since shown that this coral is in fact an undescribed member of the obscure Terrazoanthus, a genus described in 2010 and otherwise known only from species found in the Eastern Pacific and the Caribbean. Yellow Polyps originate from Indonesia, but despite being a common export, they are apparently rather difficult to find on the reef. 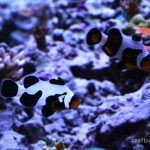 In a 2014 review of the region’s zoantharian fauna, it was said that “no museum specimens exist, preventing this species from being formally described.” It’s hard to reconcile the scientific rarity of this coral with its commonness in aquariums. Equally rare, a second species of undescribed Terrazoanthus also exists in the West Pacific, which differs in being black in color. Many of the species in Hydrozoanthus and Terrazoanthus had previously been confused with other vaguely similar taxa—Parazoanthus, Epizoanthus, Isozoanthus—but this group was finally recognized as representing a distinctive evolutionary lineage when genetic data was studied. The hydrozoanthids are now thought to be a close relative of zoas and palys, which places them in an interesting evolutionary position within their order. At the risk of oversimplifying this discussion, the evolutionary history of the zoantharians can roughly be broken up into the epizooic lineages (i.e. those that developed associations with other benthic invertebrates… sponges, black corals, octocorals, even eunicid worms and hermit crabs!) and the free-living lineages (e.g. zoas & palys). And sitting in the middle of these two major lineages we find Hydrozoanthus and Terrazoanthus, the former being epizoic and the latter (typically) not. 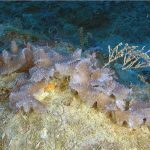 In this sense, the hydrozoanthids act as a sort of ecological missing link, and recently there’s been an interesting new genus added to this family. The uniqueness of this coral first became apparent nearly a decade ago when its DNA was shown to represent a hitherto unknown genus-level lineage. Described recently in the journal ZooKeys, Aenigmanthus segoi (the “mysterious flower”) is recognized as a middle child within its family, and, befitting its intermediate evolutionary origins, this species grows both epizoically or as free-living colonies. 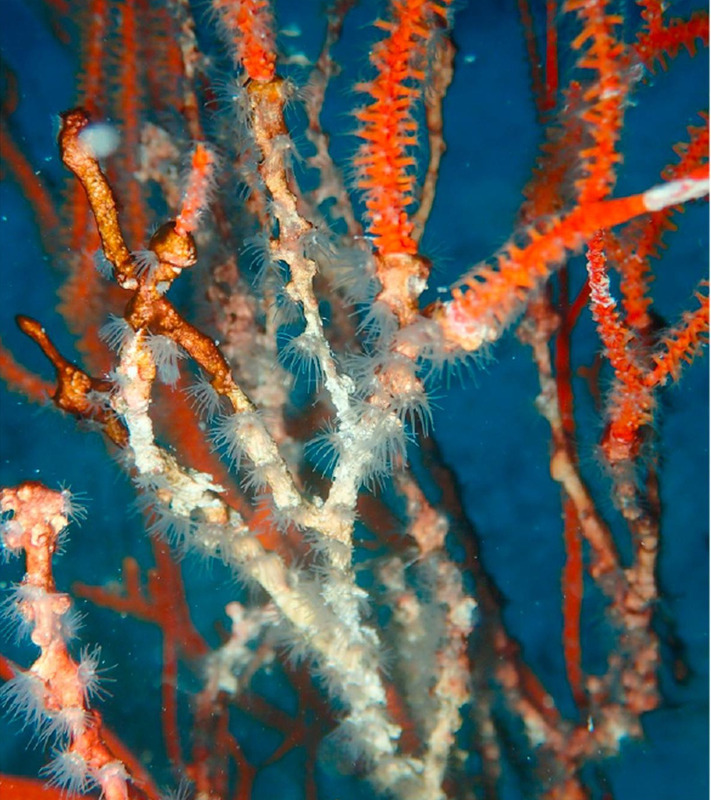 Specimens have been encountered in Japan encrusting fishing lines and rocks, as well as growing upon gorgonians and sea whips. In Palau, a more lightly colored variant lives in association with black corals, and a third population is reported from Madagascar, indicating a broad distribution in the Indo-Pacific. This ecological flexibility is not necessarily unique to Aenigmanthus. 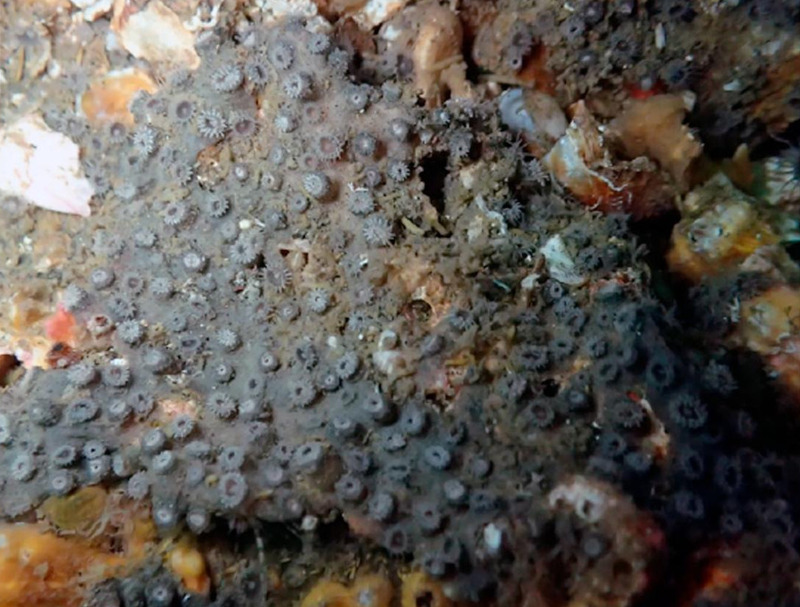 For instance Terrazoanthus patagonicus has been found growing on the dead stalks of black corals, and there are also species of Parazoanthus and Epizoanthus that can grow either directly on the benthos or in association with other invertebrates. These facultative relationships seem to be a recurring trend for zoantharians, and the shift from free-living to epizoic can apparently be quite abrupt. Acrozoanthus australiae is an especially informative example of this phenomenon. This coral is known as the “stick polyp”, owing to its obligate association with the stick-like tubes of eunicid worms, but genetic data places it as a derived member of the otherwise free-living genus Zoanthus. 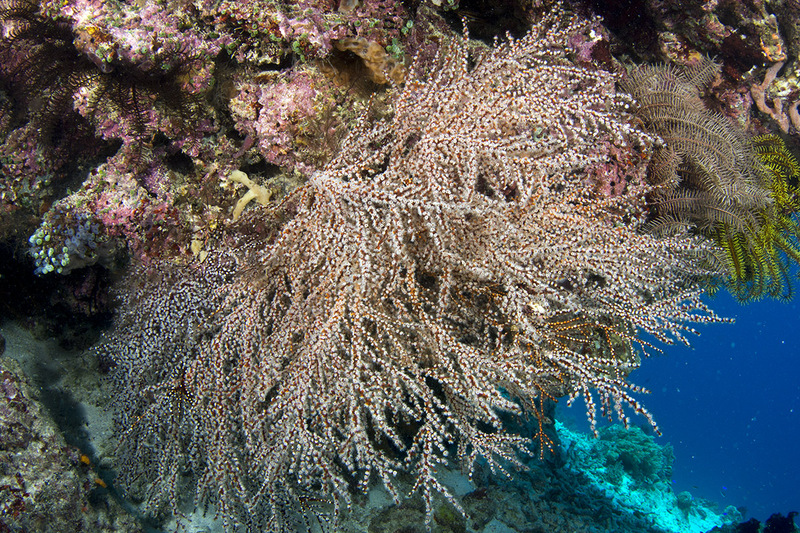 The enigma of Aenigmanthus (and other corals like it) is why this plasticity in life history comes and goes so readily among the zoantharians. Just how often have these forms of parasitism and interspecies dependence evolved within this order, and what ultimately enabled Zoanthus and Palythoa to ignore this lifestyle in favor of a largely free-living existence on the reefs? Bo, M., Lavorato, A., Di Camillo, C.G., Poliseno, A., Baquero, A., Bavestrello, G., Irei, Y. and Reimer, J.D., 2012. Black coral assemblages from Machalilla National Park (Ecuador). Pacific Science, 66(1), pp.63-81. Jaramillo, K.B., Reverter, M., Guillen, P.O., McCormack, G., Rodriguez, J., Sinniger, F. and Thomas, O.P., 2018. Assessing the Zoantharian Diversity of the Tropical Eastern Pacific through an Integrative Approach. Scientific reports, 8(1), p.7138. Kise, H., Maeda, T. and Reimer, J.D., 2019. A phylogeny and the evolution of epizoism within the family Hydrozoanthidae with description of a new genus and two new species. Molecular phylogenetics and evolution, 130, pp.304-314. Low, M.E., Sinniger, F. and Reimer, J.D., 2016. 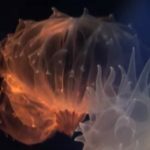 The order Zoantharia Rafinesque, 1815 (Cnidaria, Anthozoa: Hexacorallia): supraspecific classification and nomenclature. ZooKeys, 641, p.1-80. Reimer, J.D. and Fujii, T., 2010. Four new species and one new genus of zoanthids (Cnidaria, Hexacorallia) from the Galápagos Islands. ZooKeys, 42, p. 1-36. Reimer, J.D., Poliseno, A. and Hoeksema, B.W., 2014. Shallow-water zoantharians (Cnidaria, Hexacorallia) from the Central Indo-Pacific. ZooKeys, 444, p.1-57. Sinniger, F. and Häussermann, V., 2009. Zoanthids (Cnidaria: Hexacorallia: Zoantharia) from shallow waters of the southern Chilean fjord region, with descriptions of a new genus and two new species. Organisms Diversity & Evolution, 9(1), pp.23-36. Sinniger, F., Reimer, J.D. and Pawlowski, J., 2010. The Parazoanthidae (Hexacorallia: Zoantharia) DNA taxonomy: description of two new genera. Marine Biodiversity, 40(1), pp.57-70.